Smash them, or evade? Fast, or grinding? Push, or pull? Rock, or water? 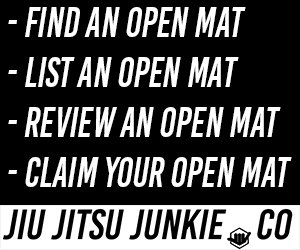 The art of Jiu Jitsu sometimes circles around these questions. Whether you are a small or large competitor, the idea of using a ‘brick wall’ or a ‘quicksand’ method is always there. The best answer to these questions does not rely on using the one that ‘fits you more’ but to incorporate both into your game for use at the correct time. The perfect scenario to describe this idea is in passing an opponent’s guard. There is a time for being straightforward and targeted, but also a time for evasive tactics and to confuse your opponent. These passing types can be described as an inside passing game and an outside passing game. The difference being that you either seemingly moving through your opponent’s guard or around it. In this post, we examine a couple of examples of these passes. This is an awesome example of an inside pass. You are using your weight and grips to smash his defense (legs) and move to side control. While he does move around to a side, he is not make large movements around his partner’s legs. Instead of large movements, he forces his partner’s legs into a position that takes less movement to pass. What makes an outside pass put into a separate category is the difference in contact, movement, and stance used in completing the pass. The X Pass is one example of an ‘outside pass’ and includes using two grips and a big ‘mule kick’ to pass your opponents legs. This move is a great way to pass the guard, and relies on being very mobile along with being very fluid. Check out how he uses the reaction of his partner pushing into him to move around his partner’s legs into side control. While it takes a good attempt to hit this pass, it is much less about persistence and force as it is about mobility and quickness. Some large differences between these styles are seen in the above videos. Inside passes are more of a slow, grueling, grinding pass meant to make your opponent want to just give you the pass. Outside passes on the other hand, depend a lot more on speed and mobility; hopping from side to side and quickly taking side control once they are too slow. So should you play an inside, or an outside game? The answer is actually much more complicated than that question makes it seem. The reality of passing the guard is it depends on several variables. Everybody has their favorite passes, so if you are drilling an outside pass every day, you’re passing game should evolve around that. While that doesn’t mean you should ONLY pass to the outside, it does mean that to flow well your passes should focus on the outside. There are good combinations between passing inside and outside, but jumping from your knees to your feet, back to your knees for four minutes you are going to be passing less effectively. It is obvious that there are different types of competitors, there are the quick ones and there are the grinding ones, along with other variables to complicate it more. If you seem to have more success with the slow smashing passes, than using those as your main attack isn’t a bad idea at all. Using the inside pass while you are a much more mobile fighter might be a mistake though. Realizing your game style is a good thing to take in mind with passing the guard. Beyond just thinking about your preference, another consideration to take into account is your opponent’s defenses. If you are trying to leg drag (example of an outside pass) someone and they are just so fast with their defense that you can’t get anywhere near the pass, you could mix in an inside pass to get them thinking about that. Also, if every time you go for a leg drag your opponent opens up an easy over/under pass, why not just take the over/under pass? Understanding and being able to use both passing games is important for those reasons. So the big idea behind the rock and water game is just that, it’s both rock AND water. The more you can see openings for the needed tactic, the more you will succeed with the tactic you are using.